Amanda Murphy Design: Holiday Forest in with a touch of red! Holiday Forest in with a touch of red! This morning my friend Cherry, of Cherry Blossoms Quilting Studio, sent me a photo that made my day! She made Holiday Forest, from Modern Holiday with a touch of red and it is hanging in her local library. I love it! Isn't it cheerful? Some other exciting news... I'm about to go film a class with Craftsy! Can't wait to tell you more about that! Hope everyone has a great week - happy sewing! Lovely! Thanks for signing my book at Wish yesterday. I heard that things went well. Can't wait to learn about a Craftsy class. It's pure genius to learn in this manner. It's a great pattern, made up so beautifully! I love everything about it! I am a surface and quilt designer based in Charlotte, North Carolina. This is the place that I record my ideas as I develop my artwork and share them with you! Welcome! 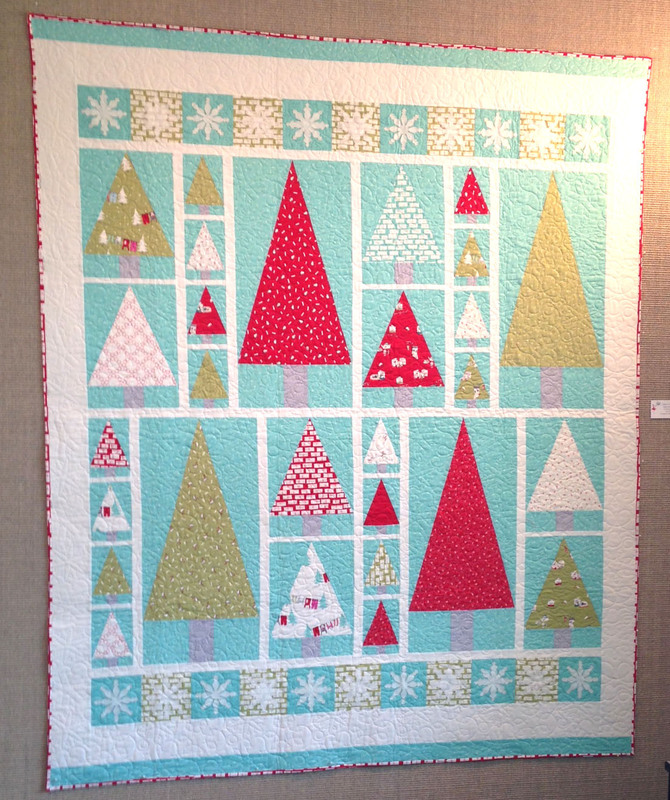 Modern Holiday Blog Tour Day 6 and Quilty!